For those of you out there riding in your beautiful 70 degree weather right now, don’t even talk to me. I am already over this winter weather - if someone could get a hold of Mother Nature and request it to be over, I would certainly appreciate it.The one good thing I will say about winter is that spring comes next, which means all of our favorite brands will introduce new moto gear, gadgets, farkles and what have you, for the new riding season. I am here to introduce some new goodies from Speed & Strength headed our way: the new United by Speed gloves and the Last Man Standing gloves. 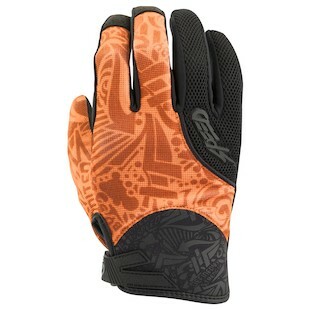 The Speed and Strength United by Speed Gloves are a lightweight street glove. I would put them in the dirt-oriented category myself. These gloves are very simplistic, but they will offer great airflow which is often a top priority for ripping around in the dirt. 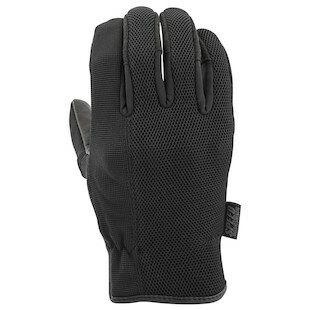 The palm is a synthetic leather and the rest of the glove is a combination of polyester stretch and polyester mesh. They will provide some protection for our precious paws but I hope none of us will ever have to put them to the test. If you are looking for a lightweight minimalistic riding glove, Speed & Strength is also introducing the new Speed and Strength Last Man Standing Gloves. The protection is a small step up from the United by Speed gloves. They will come with a goatskin palm, 3D polyester mesh, and hard molded plastic knuckle. This glove will flow a ton of air directly to your hands for those hot summer days and still offer good protection at this price point. If you are looking to replace your summer riding gloves and are not looking to spend a fortune, the new United by Speed or Last Man Standing gloves by Speed & Strength could be a good option for your riding purposes. I cannot promise you will ride any faster or that you will in fact be the last man standing, but your fingers will have something to wear. Ride safe out there everybody and give us a shout if you have questions!